Lydia Panioikawai Hunt French (Panio) was born in Waikele, Ewa, on the 15th of July, 1817. She married her husband, Mr. William French (Mika Palani) in 1836 at Kailua, Hawai‘i. Governor Kuakini was the one who married them. At Pu‘uloa, Parker ran one of French’s stores, which was nothing more than a thatched hut. Although this store was less grandiose than the other one at Kawaihae, it became the center of the cattle business on the Waimea plain. French, like other merchants in the Islands at the time, grew concerned about decisions and laws that started to be made that affected their ability to trade. These changes also affected French citizens, especially the French Catholics. Francis (Frank) McFarland Spencer (November 25, 1819 – May 19, 1897) was born in Sydney, New South Wales, and was early apprenticed to the carpenter’s trade. In 1849, with many others in the colonies, he set sail and sought fortune from the California gold rush. But that is not the Spencer House of this story. To get to that, however, we need to step back a bit; we go back to 1819. That was the time when whale products were in high demand; whale oil was used for heating, lamps and in industrial machinery; whale bone was used in corsets, skirt hoops, umbrellas and buggy whips. Rich whaling waters were discovered near Japan and soon hundreds of ships headed for the area. The central location of the Hawaiian Islands between America and Japan brought many whaling ships to the Islands. Whalers needed food and the islands supplied this need from its fertile fields. The whaling industry was the mainstay of the island economy for about 40 years. 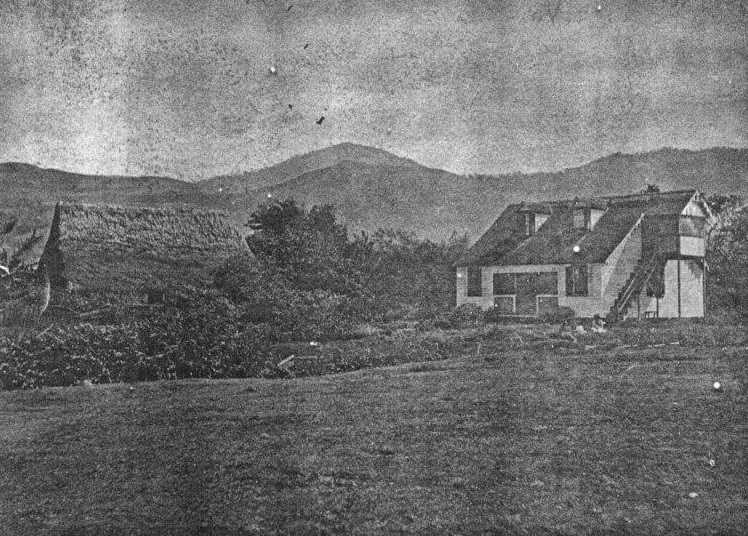 At Puʻuloa, Parker ran one of French’s stores, which was nothing more than a thatched hut. Although this store was less grandiose than the other one at Kawaihae, it became the center of the cattle business on the Waimea plain. OK, back to Spencer – in addition to his Honolulu ‘Spencer House’ selling “fancy and staple goods,” Spencer acquired land and started to get into business on the Island of Hawaiʻi. Spencer’s daughter, Frances “Fanny” Tasmania Spencer had married Richard Fredrick Bickerton (he later became an Associate Justice for the Hawaiʻi Supreme Court – 1886-1895.) Reportedly, Spencer’s Waimea “Spencer House” was briefly known and used as Bickerton Hotel. Today, Friends of Waimea’s Historic Spencer House, Waimea Preservation Association and members of the Waimea Community Association are working to restore the historic Spencer House. “A big piece of (what the groups are trying to do) is trying to preserve a piece of Waimea’s past, retain some of that sense of heritage,” long-time Waimea resident Patti Cook said. The other aim is “shaping the future” by providing a place for nonprofit and community organizations to come together. The image shows Waimea’s Spencer House (historicspencerhouse.) In addition, I have added other related images in a folder of like name in the Photos section on my Facebook and Google+ pages. John Parker later purchased 640-acres (1850,) then another 1,000-acres (1851) and leased land in the Waikoloa region from Kamehameha III – these formed the foundation for the future Parker Ranch. 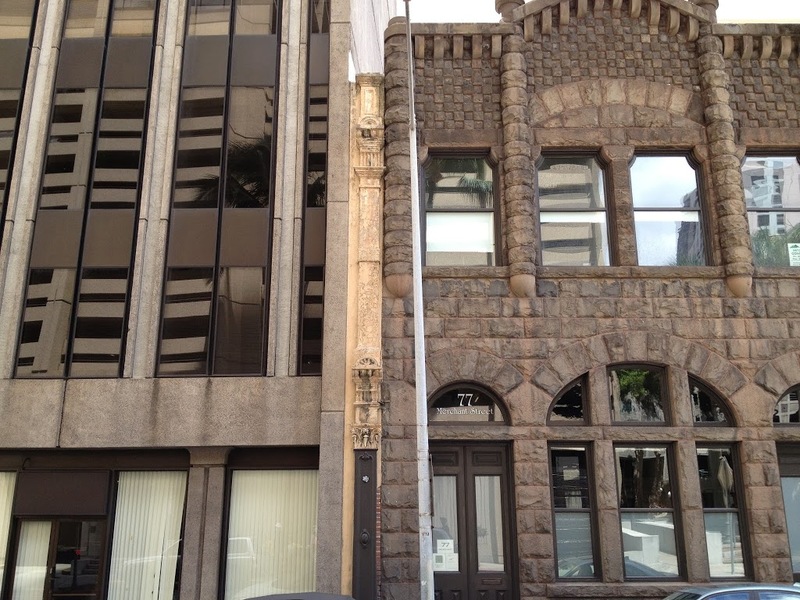 Today, we still see these remnants of the past: Melchers (1854,) the oldest commercial building in Honolulu; Kamehameha V Post Office (1871;) Bishop Bank (1878,) now known as the Harriet Bouslog Building; The Friend Building (1887 and 1900,) the site of the Oʻahu Bethel Church established in 1837; Royal Saloon (1890,) now Murphy’s; TR Foster Building (1891,) forerunner to Hawaiian Airlines; Bishop Estate Building (1896;) Stangenwald Building (1901,) the tallest structure in Hawaiʻi until 1950; Judd Building (1898;) Yokohama Specie Bank (1909) and Honolulu Police Station (1931,) one of the earliest police forces in the world, dating to 1834. So, the Campbell Block is gone … well, sort of. You see, a fragment of the Campbell Block remains. It was interconnected with the adjoining Bishop Estate Building and removing it all would harm its neighbor; so, a part was retained in-place. The image shows the cast-iron pilaster fragment of the Campbell Block. In addition, I have added other related images in a folder of like name in the Photos section on my Facebook and Google+ pages.